Second Season: The Breaking Point & Babel opens Feb. 23! Second Season's The Breaking Point & Babel opens this Friday, February 23, so get your tickets. Congra tulations to Agyeiwaa Asante, Senior BA Theatre candidate, on winning the 2018 Young Women's Voices Monologue Competition and to Paige Hathaway, MFA Design '14, on being honored with the USITT Rising Star Award! To continue to join UMD in the celebration of Black History Month take a look at the full list of events, by visiting thestamp.umd.edu/BHM . The theme this year: "Reclaiming Our Voices" illustrates that the black experience on campuses is not always simple to maneuver, but celebrates the efforts that are being made to combat the silencing of black voices. Looking for summer jobs or internships? Check out the opportunities section below. The Breaking Point explores how relationships between people devolve due to the current political climate of the US. The piece features interviews with students from the School of Theatre, Dance, and Performance studies that comment on how politics affect an "epicenter of apathy." Babel is a site-specific performance exploring knowledge, histories and beliefs. The piece delves into ancient institutions, where they have come from, and where they are headed. 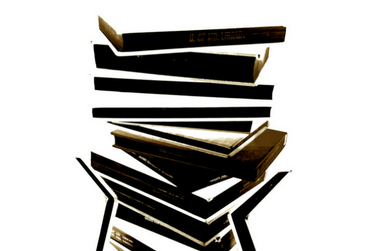 Babel is produced by PhD student Fraser Stevens' experimental theatre company, Almost Human. 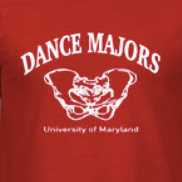 Show off your UMD Dance pride with these fun t-shirts and tanks! After the order closes on February 23rd, the shirts and tanks will be delivered to you by a member of DCX. 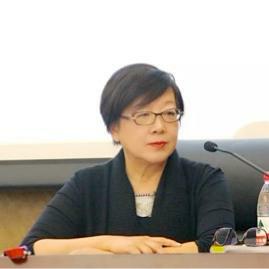 This winter, design Professor Helen Huang was invited as a visiting professor - also called “The Foreign Experts of Professionals” - to teach a master class at The Central Academy of Drama in Beijing . The Central Academy of Drama is the first theatre higher educational institution of the People's Republic of China and now it is affiliated to China's Ministry of Education. It is ranked as one of the best top-level drama, Film & Television arts institutions in China and has been selected into the country’s construction plan of world first-class disciplines. 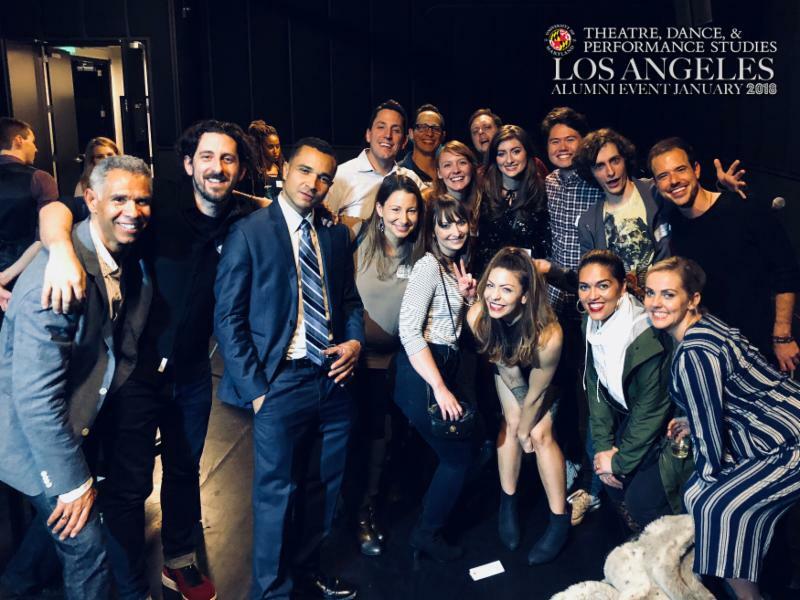 The University of Maryland, School of Theatre, Dance, and Performance Studies' second Los Angeles Alumni Party was a huge success! The theme of the party was Entrepreneurship and the Arts in the Age of Social Media .The Alumni Party was hosted by Jared Paul ('99) and Adam Shapiro ('02) at Jared's Faculty Productions in Los Angeles. Leigh Smiley , Director, Scot M. Reese , Head of Performance and Bonnie Thorton Dill , Dean of Arts and Humanities, all made the trip to connect with alumni. Congratulations to TDPS Helen Hayes Award Nominees! Congratulations to faculty, graduate students and alumni who were nominated for 2018 Helen Hayes Awards in recognition of their exceptional work in the Washington D.C. theater scene! 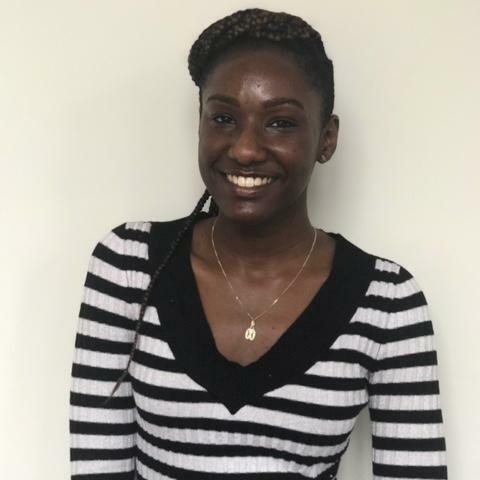 Agyeiwaa Asante, Senior BA Theatre candidate, has been selected to perform in the 2018 Young Women's Voices Monologue Competition at the Kennedy Center on February 28 as part of the Women's Voices Theatre Festival ! beyond, she expresses the fact she is sick and tired of being responsible for taking care of everyone else (politically, domestically, economically, mentally, etc), yet still having no one there for her.
" Women like Maxine Waters and Kamala Harris aren't far and few between. They just need to be given the power they deserve to make change." 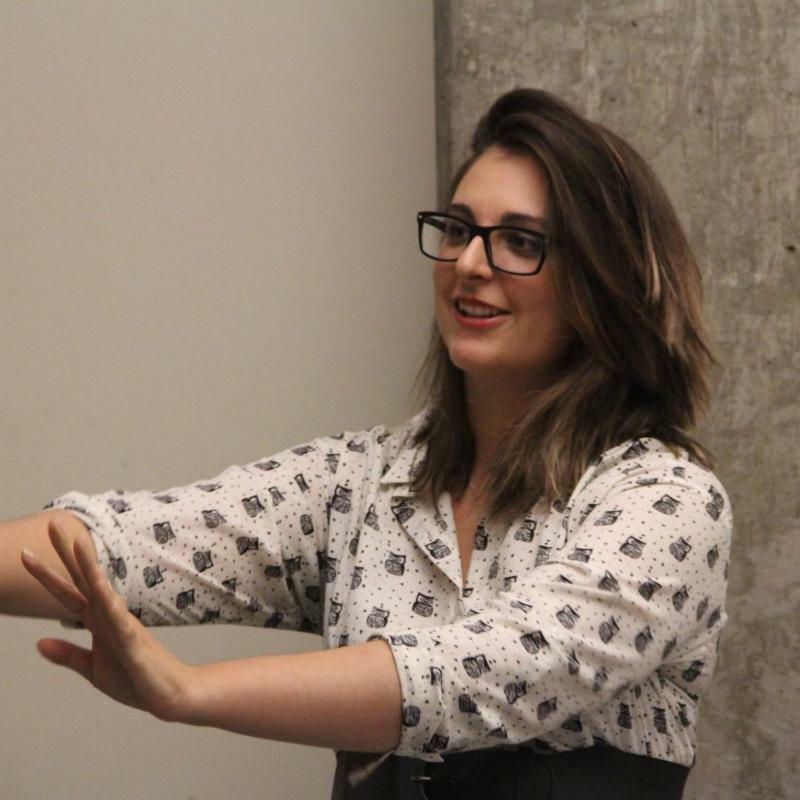 Congratulations to Paige Hathaway (MFA Design, Spring '14) on being honored with the USITT Rising Star Award! The Rising Star Award, established by LiveDesign/LDI in 2005 is given annually to a young professional in the first four years of their career after completing their highest academic degree. The award recognizes excellence and artistic achievement in scenic, lighting, sound, projection design, and a convergence of these design disciplines ! The Dance Education Laboratory (DEL) Summer Institute in New York City is offering five UMD Students a scholarship at $4,625.00 per student. This amount will be used to apply to the tuition and for housing and living expenses for the month long institute. To apply, e-mail NAME an application letter detailing why you want to attend the institute by 12pm on February 21. Applications for the Creative Capital Award are open through February 28! Artists who receive the Creative Capital Award will have access to up to $50,000 in funding to develop their project, plus advisory services valued at $45,000. We are interested in groundbreaking and original projects, as well as artists who are ready to take full advantage of our non-monetary services. Apply here.